Home What Is? What is USB? When building your PC, it can be easy to get too caught up thinking about the exciting stuff – like graphics card – and to accidentally forget the more basic stuff – like USB. 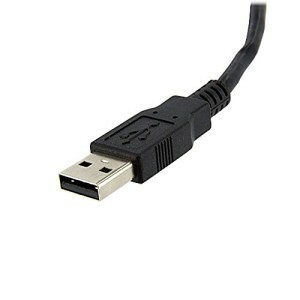 USB stands for ‘Universal Serial Bus’ and is a basic type of connector that is used for all kinds of things. USB can be used as a power supply for instance, to lend power to your external devices from your PC. At the same time, it can also be used for input devices like mice and keyboards, for expandable memory such as USB sticks and even for exciting new technologies like the Oculus Rift or the Leap Motion. When building a PC, the first thing you need to ask is how many USB ports you’re going to need. This can seem like a small matter and like it wouldn’t impact all that much on your experience but in reality it can make a massive difference when it comes to the day-to-day workings of your PC. If you need to use a moues and keyboard, transfer files to a USB pen and keep your phone plugged in, then you need four ports. If you want to use something like the Oculus Rift with a controller, then you’ll need two or three. Running out of ports can become irritating quickly and especially if it prevents you doing the things you want to do. What’s also important though is to consider the type of USB and the speed of your USB (which are, as you may have guessed, related concepts). Let’s take a look at some of the different options with USB and how they differ. USB 1.0 was the first USB introduced and was a lot slower and less capable than what we have today. Introduced in 1996, these ports had data rates of 1.5Mbits and 12Mbits for low bandwidth and full bandwidth respectively. USB 2.0 was released as a successor in 2000 and came with a high top signalling rate of 480Mbits, known as ‘high speed’. This was in addition to USB 1.0’s full speed at 12Mbits. As you can guess, this basically means that you would be able to transfer a lot more data through USB 2.0 a lot more quickly and this results in better performance. USB 3.0 has been around since 2008 and comes with the addition of a ‘SuperSpeed’ mode. USB 3.0 ports are normally colored blue for easy recognition and should be backwards compatible with USB 2.0. SuperSpeed provides data signalling rates of 5.0Bits, with a payload throughput at 4Gbits (meaning it’s capped at that amount). Usually you can expect to achieve roughly 3.2Gbits which results in much faster communication. USB 3.1 was released on 31 July 2013 and boosted SuperSpeed up to 10Gbits (now called SuperSpeed USB). Finally, USB Type-C was released in 2014 and provides a useful future-proof solution to these upgrades. It basically allows a single port to be backward and forward compatible and prevents the need forType-A to Type-B adaptors. While it won’t likely be relevant for the development of a PC, it’s worth noting that you can also get something called ‘Micro USB’. This essentially does what it says on the tin and is a very small type of USB that’s suitable for use in smartphones and tablets. The great thing about smartphones that use Micro USB is that you can get a USB to Micro USB adaptor and then plug in all manner of peripherals designed for PC from keyboards to storage drives. Likewise, you can also convert Micro USB up to USB and use some smartphone accessories on a PC.